Art on Stage is a set of diverse cultural performances of the 2018 PyeongChang Cultural Olympiad. Two special stages of Korea’s traditional sounds, Gugak and Pansori, will be presented here. First, Korean Breath not only combines Gugak with western sounds but creates a new genre for expressing their spirit of empowerment and musical experiment. Next, a fusion-version of the Pansori classic, Chunhyangga, will take the stage by storm. These shows will unfold on Saturday, Feb. 10 and Sunday, Feb. 11, respectively at Festival Park, PyeongChang. The performance by music group SE:UM will harmonize the distinct combination of Gugak and jazz, adding excitement to 2018 PyeongChang Cultural Olympiad. SE:UM is a prolific art group creating unique works that go beyond the musical genre. 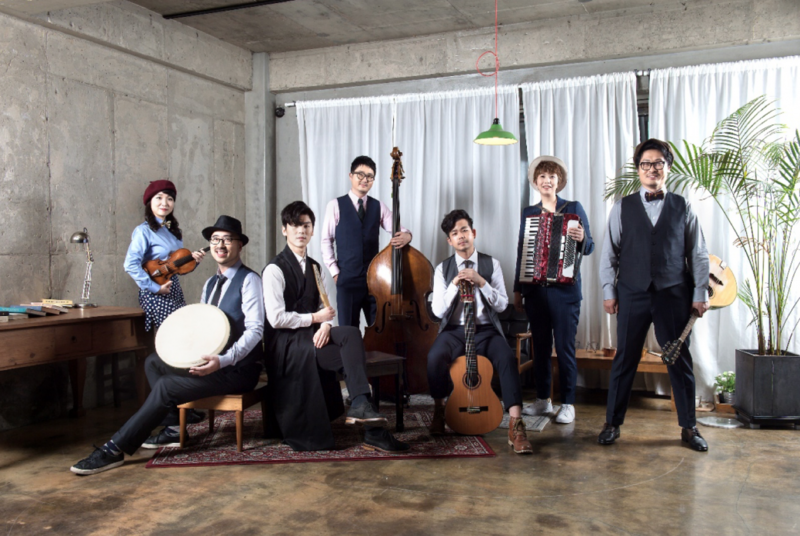 Consisting of saxophone, contrabass, gayageum, traditional percussion, and trumpet, their distinguished texture based on Korea’s indigenous music garners love from domestic and foreign audiences alike. Their project for presentation, Korean Breath, is a repertoire show that interweaves their major musical pieces and unreleased works to form a storyline. Binari, taking motif from Korean traditional narrative piece that pray for peace and hope; Abyss, an expression of the innermost human sorrow; Requiem, the highlight of percussion solo; Sagyehwa, based on the melody of Byeolsingut shaman ritual at the East coast; Chilboilbae, composed from gilgunakchilchae rhythms; Mulnae, a duet of contrabass and 12-string gayageum; and The Other Side, solemn yet powerful with brass instruments. Critics praise how these seven tracks advanced the boundary of crossover music and fusion Gugak. You can watch this show at Festival PyeongChang at 19:00 on Saturday, Feb. 10. Another highly anticipated stage is a collaborative work of ethnic fusion band Second Moon and young Pansori vocalist Kim Jun-su. Second Moon is a talented band that won three categories in the third Korean Music Awards with their debut album in 2006, and also listed on Top 100 Korean Masterpiece Albums in 2007. On the other hand, Kim Jun-su is a star vocalist at the National Changgeuk Company of Korea, highly recognized for his caliber. To both general Korean public and foreign audience, Pansori is distinct yet still an unfamiliar form of music. But this performance overcomes the language barrier through musical re-arrangement that diversifies the musical progression, which unravels traditional framework of Pansori and increases accessibility for the listeners. When the sounds crafted by Second Moon’s set of unique European folk instruments, including violin, mandolin, Irish whistle, accordion, and Uilleann pipes, join Korea’s Pansori vocal tradition, the refreshing experience truly inspires you. This performance is at 19:00 on Sunday, Feb. 11. Details about the shows are available at the official website of Cultural Olympiad-Gangwon-do (www.culture2018.com). All the performances are free. Various shows are available from 13:00 to 20:00 and everyone is welcome to enjoy. Disclaimer: tickets for the shows at Gangneung Art Center must be reserved beforehand.